Once you have the controls working in your project, it's time to see what they can do. This article provides a short overview of how to get started with finding control functionality so you can use it. To get an overview of what each control offers, the fastest approach is to go to our Live Demos. You can also download the source code of the demo application from your telerik.com account as a Visual Studio project and play around with the demos in the comfort of your IDE. The Telerik_UI_for_WPF_[version]_Demos.zip archive contains the respective source code. 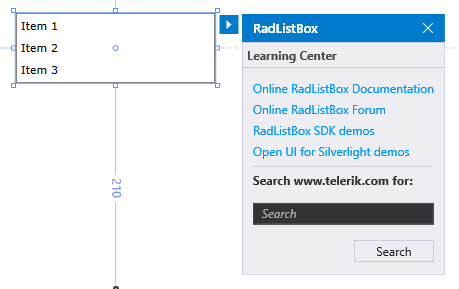 You can explore the available properties, events and inner tags of any control through the VS intellisense to get a quick glimpse of their concepts and availability. In addition to that, the documentation provides a section for each control that contains help articles on distinct features and API reference. Last, but not least, some most common tasks and configuration options are available in the control's Smart Tag in Design Mode. 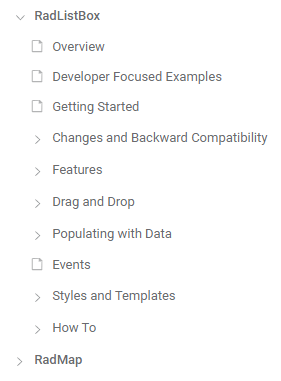 You will also find design-time wizards and links that can be useful when you are getting started with a feature, or even for advanced users who want to save time with setting up collections, data sources or properties.